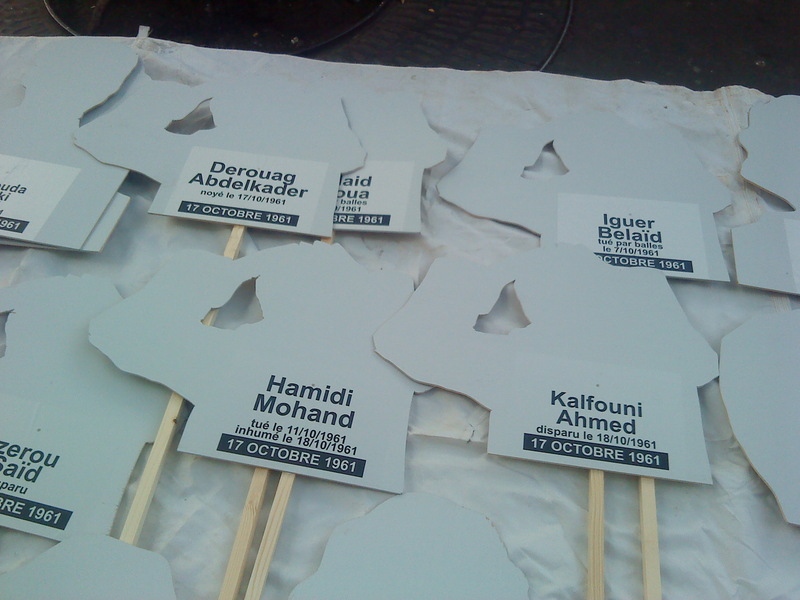 Today is the 50th anniversary of the Paris massacre of October 17, 1961, when dozens of peaceful Algerian demonstrators were murdered by the police in Paris and surrounding banlieues, and with many thousands more brutalized and tortured. It was one of the darkest days in postwar French history. 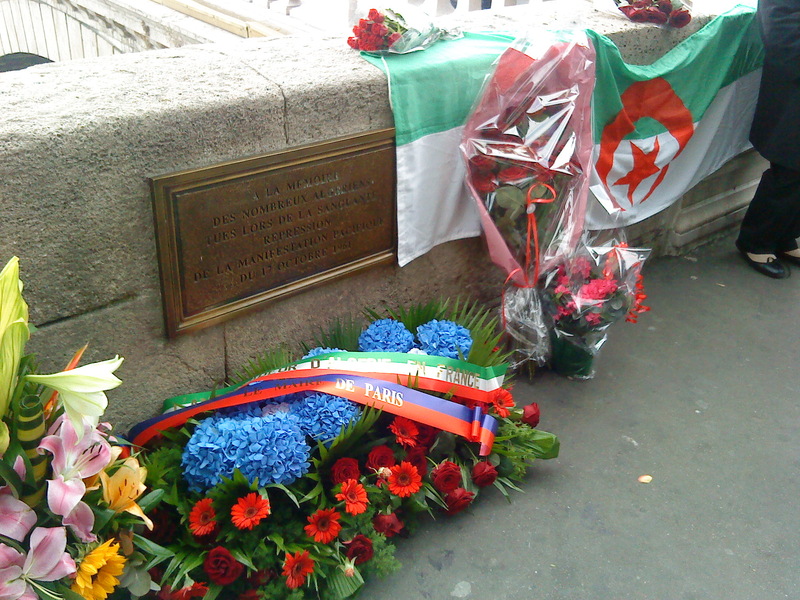 According to the British historians Jim House & Neil MacMaster—authors of the best book on the subject in English—up to two hundred unarmed Algerians were killed by the Paris police—who were at the time under the command of the notorious Prefect of Police for Paris, Maurice Papon—on October 17 and in the preceding weeks. 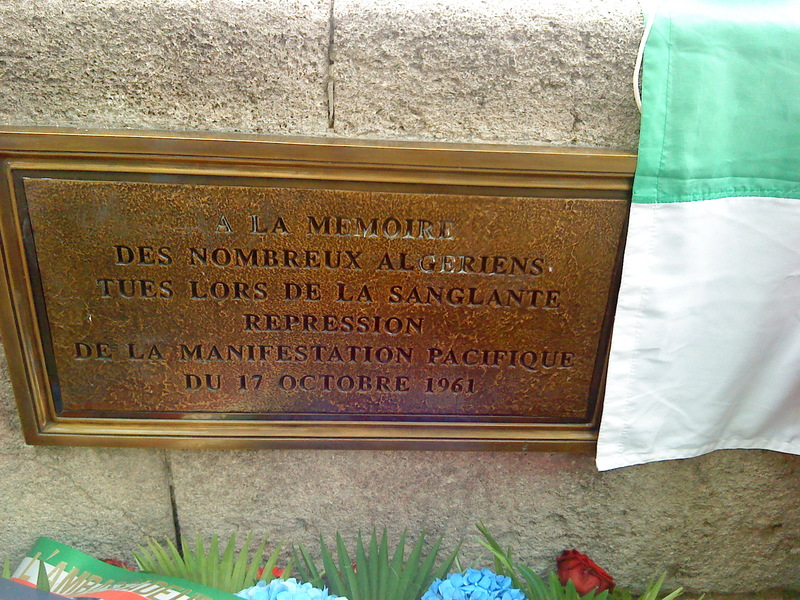 During the Algerian war and the decade the followed it, books and films on the event were subject to censorship, so what happened on the night of October 17, 1961, was hushed up and largely ignored by the French public, including the educated classes and those who were old enough to remember at the time. This situation has changed considerably over the past two decades, with the proliferation of books and films on the subject, including this first-rate feature length film from 2005 and these two documentaries here and here, which will be released in the cinema on Wednesday. 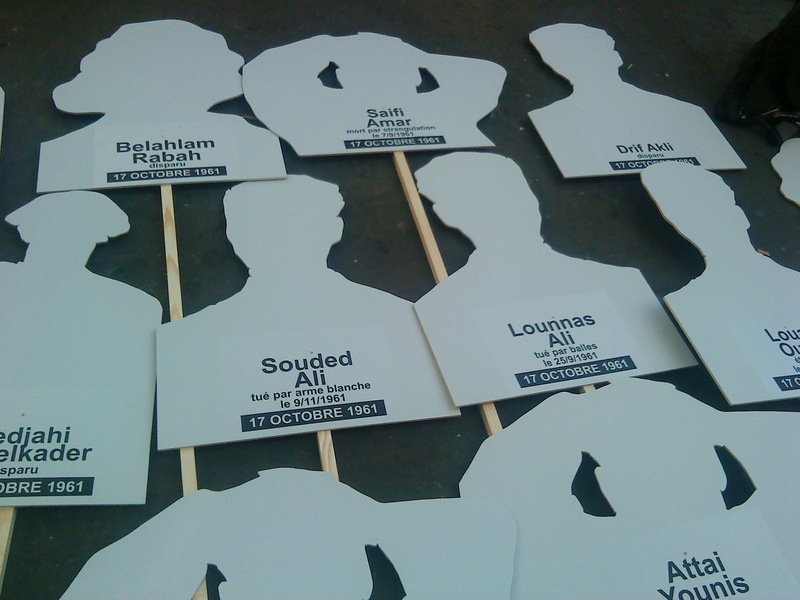 And the annual commemorations of the event are now receiving increased media attention. 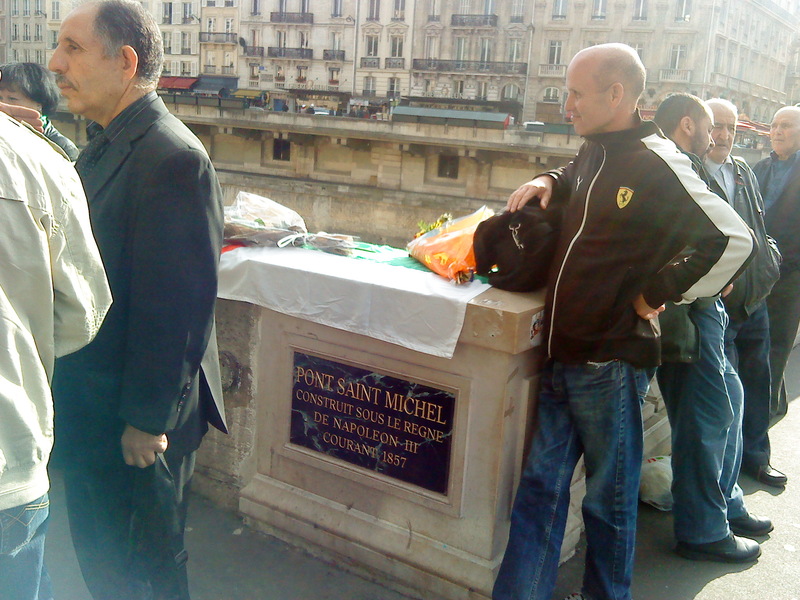 I missed today’s in Paris, at the memorial plaque to the events on the Île de la Cité at the Pont-Saint-Michel—where mayor Bertrand Delanoë gave an address—, but stopped by a few hours later. Also came across par hasard on the Boulevard Poissonnière preparations for a commemorative march in the early evening (see photos below). As for articles in English they seem mainly to be in the far left press, e.g. 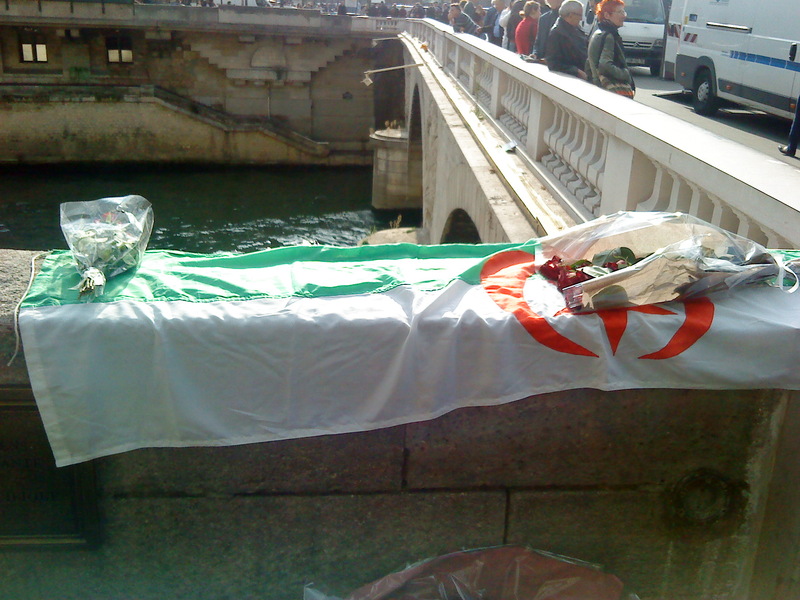 this—authored by a London-based Algerian journalist in London whom I met at the Pont-Saint-Michel today—and this.